With high street stalwarts dropping like flies, traditional retailers are on the wrong end of a raft of increasingly harsh criticism from both customers and analysts. But in far too many cases it is fear of failure – of making the wrong technology investment or delivering the wrong in-store experience that is at the heart of the problem. Traditional shopping isn’t broken; retailers are simply failing to recognise or deliver the new expectations of today’s consumer. Retailers cannot hope to compete with the disruptors unless they stop playing inept catch up and instead celebrate the value of the in-store interaction with truly empowered store associates able to deliver something far more engaging and valuable than any online experience. As long established family favourites vanish from the high street it appears the pure play disruptors have won the hearts and minds of customers and the writing is on the wall for old style retail. But is that really the case? Pure play retailers are essentially tech companies; they live and breathe technology innovation. In contrast, far too many traditional retailers remain inherently scared of technology. They talk agility and responsiveness, but then spend upwards of two years assessing and deploying a solution. It is this fear of failure – fear of making the wrong technology investment, of creating the wrong in- store atmosphere – that is destroying the high street. The result is a catch up approach to technology investment that is always years behind the competition. What is the point of attempting to emulate pure play competition – but to do it badly? From price match offers that take 24 hours to confirm to compelling customers to complete time consuming and irrelevant customer surveys during check-out, the high street is littered with examples of ill-considered attempts to copy slick online models in-store. It doesn’t work, especially when the technology deployed is years behind that of the disruptors. It is all wrong and it fundamentally misses the point. Online retail has not removed customers’ desire to buy in store or interact with sales assistants; what it has done has been to raise customers’ expectations of that experience. 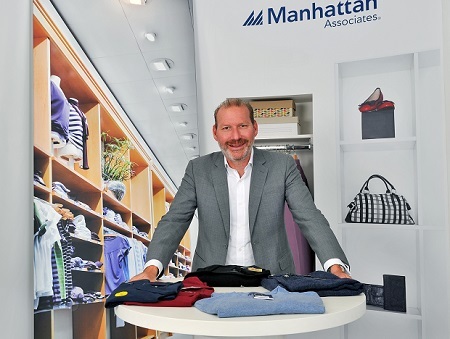 It is incredibly simple: people still want to come in store and be served; they want to interact with an enthusiastic and engaged individual, someone who not only knows the products – and can share experiences – but is also able to locate any item anywhere in the supply chain in real time and get that item to the customer quickly, in any location. They want frictionless returns, a slick journey through click and collect and they want the checkout process to be smooth and quick. But they also want the whole experience to be enjoyable. No one wants to travel into the high street only to receive a bad version of what they can get online at home. They want something different and they want something better. And that is where high street retailers have a massive advantage over the pure plays – if only they could harness it. Rather than complaining about the pure plays’ low cost infrastructure and lack of real estate overhead, traditional retailers need to stop viewing the high street as the Achilles heel and think of the retail store as the golden egg. And that means investing in technology that delivers the complete supply chain visibility and mobile point of sale that ensures store associates can be continuously engaged with customers anywhere on the shop floor. It means investing in high quality sales staff. And it means doing it fast. Not over years. Attempting to ‘become Amazon’ in two years; or replicate the model of the pure play competitor over the next 18 months is never going to work: the competition is too fast, too slick and too tech savvy. Playing catch up will result in the end of the high street. What is required is a willingness to disrupt the disruptors, to leverage the advantage of a tangible personal experience and quickly exploit relevant technology to deliver an outstanding in-store experience.